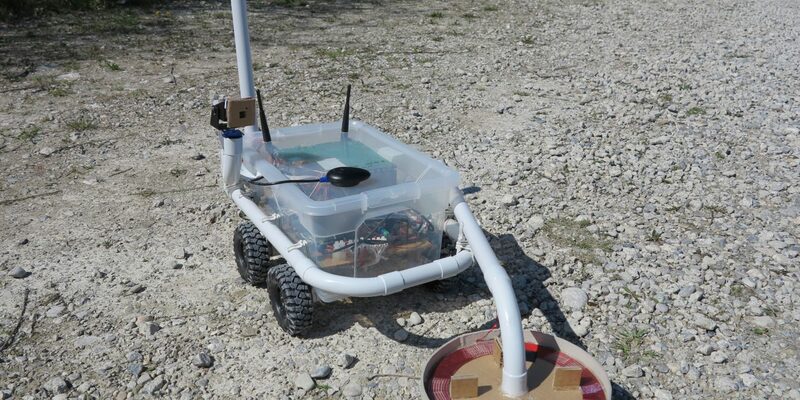 The Discoverer is a remote controlled robot-car based on a Raspberry Pi. The Discoverer is the biggest robot-car I build. The robot is equipped with a metal detector, a pan & tilt Raspberry Pi camera and a Raspberry Pi Sense-HAT with a magnetometer and gyroscope. 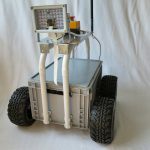 I developed the robot as an early beta model for testing the integration of the data generated in combination of a GPS receiver and magnetometer. 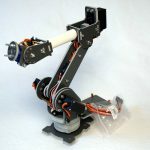 I learned a lot during the building phase about robotics in general and how to build a chassis. The wheels I actual use are too small for rough terrain. The following picture shows the robot-car driving around a parking lot of the university next to me. 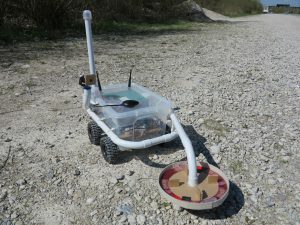 As you see in the picture the wheels are very small and it was hard for the robot to drive on the gravel underground. 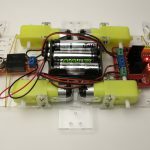 If you are thinking about building your own robot-car I created an overview of the components I typically use in my robots. 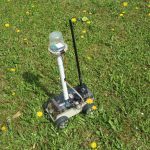 With the NAVILOCK GPS NL-602U USB GPS receiver the robot-car is able to find out his position in the an open field outside the city. 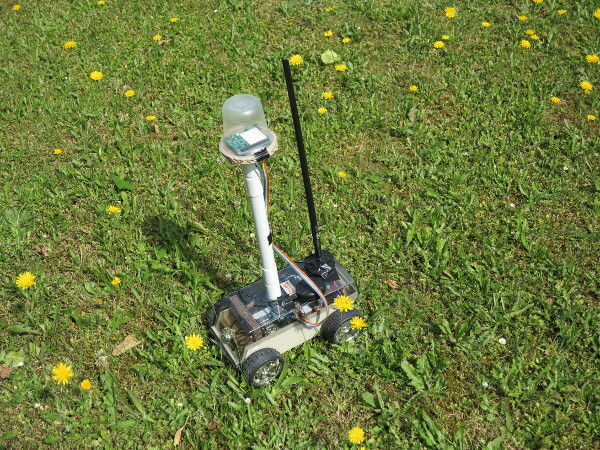 With the combination of the Raspberry Pi Sense-HAT the robot is able to determine the compass direction his front is facing too. 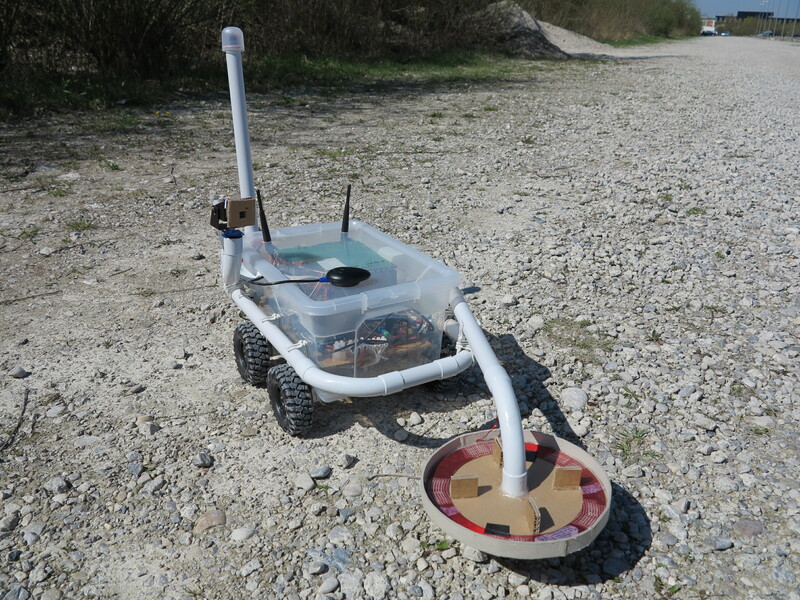 This enables the robot-car to directly turn in the direction the next GPS waypoint is located without driving around to determine the north direction the robot is facing to. 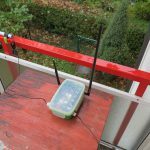 To activate the GPS receiver was very easy because it is directly supported by Linux / Raspbian. 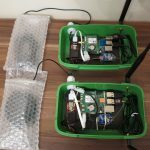 I developed the software I used to control my robot-car via GPS by my own. 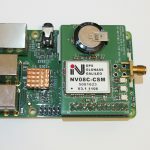 The main gps-drive-robo-car.py program is developed in Python. 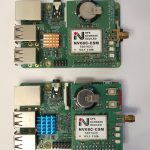 The main program needs three modules to control the l298N H-Bridge, the led matrix from the Raspberry Pi Sense-HAT and a module to calculate the north direction. 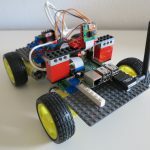 With the magnetometer and gyroscope from the Raspberry Pi Sense-HAT the robot-car is able to control the direction the front is facing too and to move the robot car in the direction where the next waypoint is located. To configure the Raspberry Pi Sense-HAT was not so easy. After the successfully configuration the magnetometer inside the Sense-HAT is doing a perfect job. 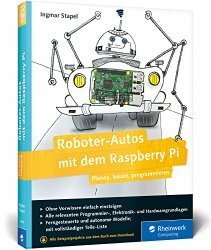 I am using two Raspberry Pi Sense-HATs in my robot-cars and I am very happy with the Sense-HAT module. 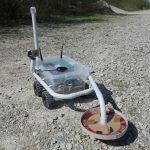 I developed a Python program for the Discoverer which enables the robot to drive from one GPS waypoints to the next one and to use the metal detector to detect some metal or hopefully a treasure. This is the way I like it to hunt for treasures. At the end a log file is generated with the GPS coordinates where the metal detector detected some metal in the ground. With the camera pan&tilt kit the Discoverer is able to stream a video with a 360° round view. This make the steering very easy in your command center. 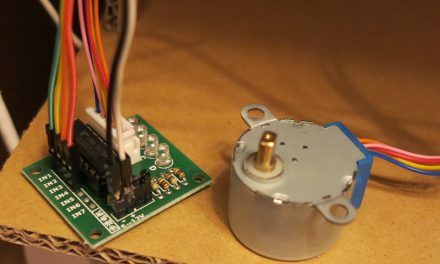 With the web interface I programed for the Discoverer I am able to control the Pan&Tilt camera as well the four DC motors. The video shows the first test run with active metal detector. The test run was very bumpy and the robot lost a wheel. Greetings, this is excellent work. 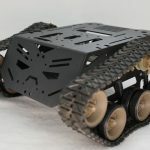 By chance do you have a list of components and maybe how you did some of the robot chassis work. Thanks. Sell it to the army or some NGOs in africa to detect IODs. Excellent project! I have bought a sense hat, but at the moment I am not doing anything as ambitious as your project. I just want to check the temperature, humidity and pressure. 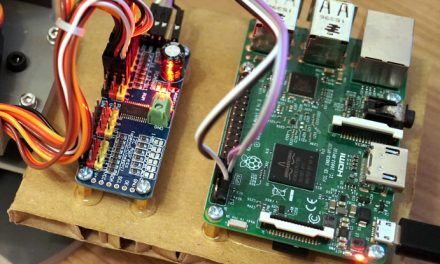 Unfortunately, the Sense Hat mounted on the Raspberry Pi gives wrong temerature as the sensor picks up the heat from the Pi’s CPU. 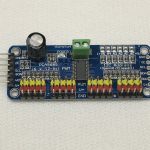 Would it be possible for you to give a diagram of how to connect the Sense Hat to the Pi with a breadboard and jumper wires? Thanks a million!! I was missing the the 3.3 V connection. 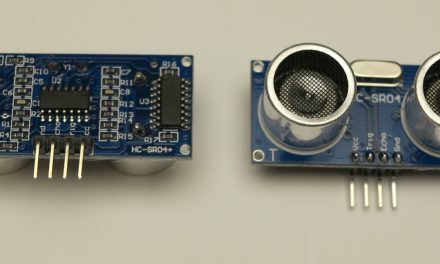 So just connecting ID_SD and ID_SC can let me access all the sensors on the Sense Hat? The other GPIO pins are not required? Hello Sir, very awesome project. I am a student and select this project to do. But i don’t understand one thing, which is: how metal detector connected with Raspberry pi? 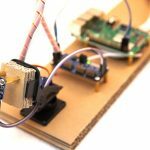 Second, Does metal detector send any notification/value to raspberry pi (when metal detected) as other sensors do? Please sir, i need you help. 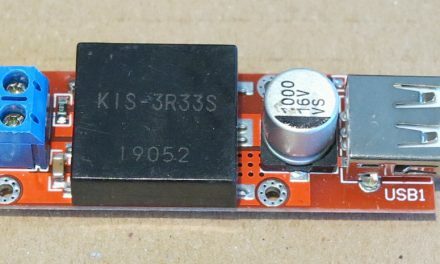 I am using a LM393 photoresistance photosensitive sensor module connected to the LED of the metal detector. Thats easy to implement and you do not need an level shifter. which is the most valuable component in this project. Why? the metal detector is self made by a maker from Canada. He is no longer selling this metal detector.